Application of engineering techniques in biomedical science is gradually expanding. Today, with the increasing complexity of medical technology, there is a growing demand for technical professionals who can effectively integrate the fields of biomedical science and engineering. Professionals who are capable of understanding medical problems within the context of engineering sciences will be able to solve problems that are of interest to both engineers and medical practitioners. 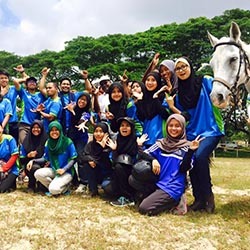 The rapid development of equine industry in Malaysia has demanded more experts in the field of equine science and equine management. Universiti Teknologi Malaysia (UTM) aspires to be the pioneer among higher learning institutions in Malaysia and in the South East Asia region to promote equine sports and equestrian activities among students as well as the public to develop interest and passion for the sports. 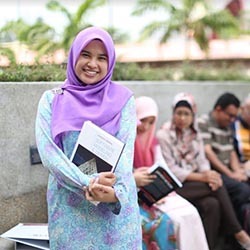 Students are required to successfully complete a minimum of 45 credits which include at least: (a) five core courses (15 credits) (b) one compulsory university course (3 credits) (c) one university elective course (3 credits) (d) four elective course (12 credits) and (e) dissertation (12 credits). Project dissertation has a total credit of 12 hours in which it will be divided into 4 credit hours for semester two (Dissertation 1) followed by another 8 credit hours for semester three (Dissertation 2). 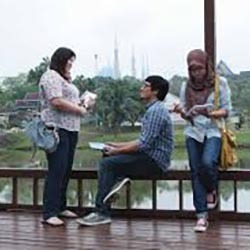 The Masters by research programmes are offered as full-time. A student will carry out research in any one of the areas of research chosen. Each research project is supervised by a lecturer of the Graduate Faculty. A Graduate Faculty member is an academic staff who has a doctoral degree qualification or an academic staff who holds an academic post of at least associate professor and is involved directly or indirectly in the post-graduate programmes. Co-supervisors may also come from a related industry. FBME offers Doctor of Philosophy program by research. This program is offered as a full-time. A student will carry out research in any one of the areas of research chosen. Each research project is supervised by a lecturer of the Graduate Faculty. A Graduate Faculty member is an academic staff who has a doctoral degree qualification or an academic staff who holds an academic post at least senior lecturer and is involved directly or indirectly in the postgraduate programs. Co-supervisor may also come from a related industry.